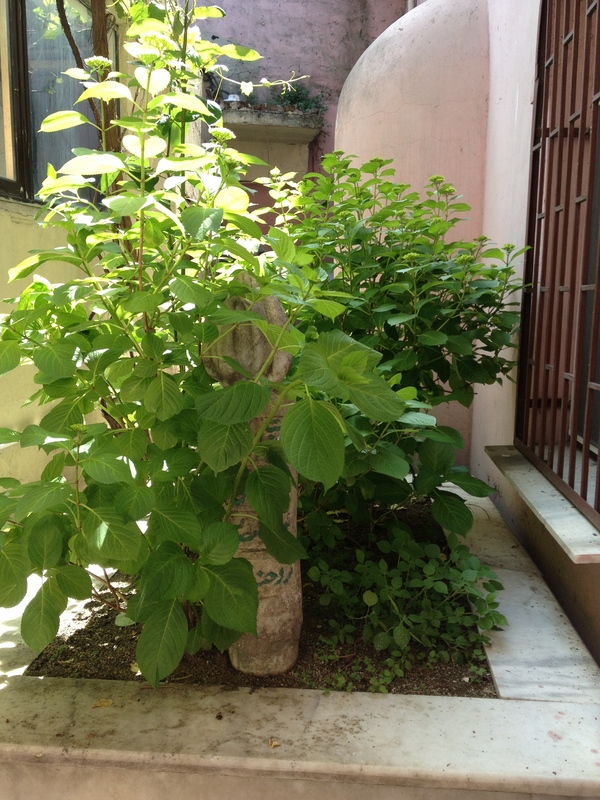 For the third post in the series we return to the area of Eyüp along the Golden Horn to visit three other tombs that lie in close proximity to the mosque complex of Abū Ayyūb al-Anṣārī (d. 52/672). 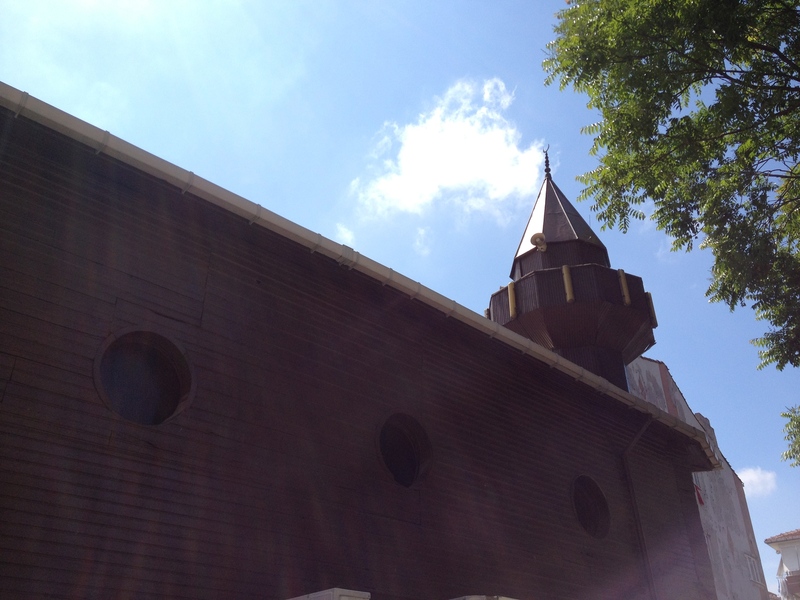 The reported tombs belong to Abū Dardā’ (Ebu Derdaǧ), Adham (Edhem), and Khayr al-Dīn (Heyrettin). The tombs of the three Companions of the Prophet with whom we are presently concerned can be reached in less than a ten minute walk from the Eyüp Sultan Mosque. Head south from the mosque complex down Zalpaşa Caddesi passing Zal Mahmut Paşa Camii on your left. 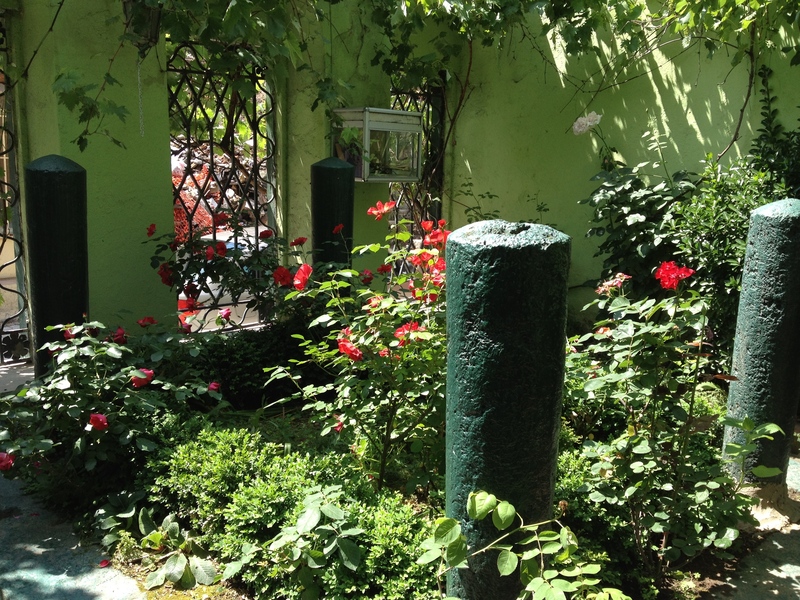 Shortly thereafter, also on the left, you will find the gated garden tomb of Ebu Derdaǧ or Abū Dardā’ (d. 32/652). His name and genealogy are given as ʿUwaymir b. Zayd b. Ḳays b. ʿAʾis̲h̲a b. Umayya b. Mālik b. ʿAdī b. Kaʿb b. al-Ḵh̲azrad̲j̲ b. al-Ḥārit̲h̲ of the Balḥārit̲h̲ family of the Ḵh̲azrad̲j̲. Some sources give his name as ʿĀmir instead of ʿUwaymir, and for his father’s name instead of Zayd we find variously ʿĀmir, ʿAbd Allāh, Mālik or T̲h̲aʿlaba, while some give him the nisba al-Rahānī. He was a younger contemporary of Muḥammad who is generally listed among the Companions (Ṣaḥāba) though some sources raise doubts as to the legitimacy of this. He did not become a Muslim till after the battle of Badr and it is noted that he was the last of his family to become a convert to Islam. Some list him among those present at Uḥud. When Muḥammad established “brotherhoods” between the Emigrants and the people of Medina he was the “brother” chosen for Salmān al-Fārisī. A certain number of traditions are reported on his authority and are given in the Ḏhakhāʾir al-Mawārīḥ, iii, 158-62. The Ṣūfīs claimed him as one of the ahl al-ṣuffa [q.v. ], quoting a number of sayings of an ascetic or pietistic character from him, which is probably the reason why in the biographical dictionaries he is called a zāhid and one to whom ʿilm was given. These sources also say that he became known as the sage (ḥakīm) of the early Muslim community. He is reported as having said that before Islam he was a merchant, but after his conversion found that business life interfered with strict attention to cult duties (ʿibāda) so he gave up business. His great reputation, however, was as an authority on the Ḳurʾān. He is listed as one of the few who collected (djamaʿa) revelations during the Prophet’s lifetime, and a small number of variant readings from him is recorded in the ḳirāʾāt books. During his stay in Damascus, where he was sent to serve as a ḳāḍī, he made it a practice to gather to the mosque groups to whom he taught the Ḳurʾān, thus becoming the true father of the Damascus School later headed by Ibn ʿĀmir [q.v.]. He died at Damascus in 32/652, or thereabouts, his tomb and that of his wife Umm al-Dardāʾ being shown there near one of the gates. To reach the next tomb continue down Zalpaşa Caddesi until you reach a fork. Take the righthand road called Abdurrahman Şerefbey Caddesi a short way until you reach a stone building on the right that completely encloses the tomb of Edhem or Adham. 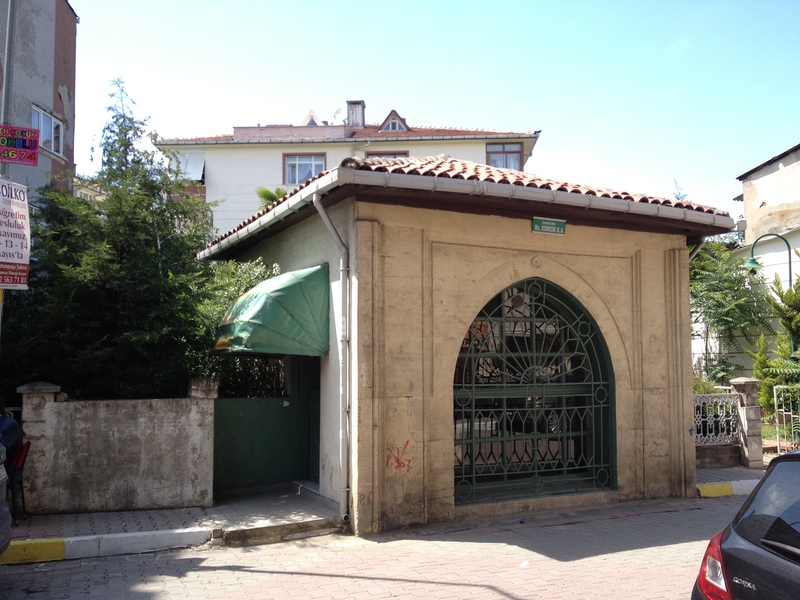 The tomb building is located at the intersection of Abdurrahman Şerefbey Caddesi and Arapcı Hayrettin Sokak. The tomb lies behind a large piece of ironwork and glass window. As for this tomb, there does not appear to be a Companion known by the name Adham. A sign in the window mentions a person by the name of Halid/Khālid and the year 46/666. Al-Ṭabarī mentions that ‘Abd al-Raḥmān, the son of the famous Khālid b. al-Walīd (d. 21/642), possibly led a campaign against the Byzantines in 46 before being killed by poison later that same year. (al-Ṭabarī, History, 18:88-9). Notably ‘Abd al-Raḥmān had led an earlier campaign into Byzantium in 44 as well (al-Ṭabarī, History, 18:71). The sign may have mistaken ‘Abd al-Raḥmān for his father Khālid who also reportedly participated in fighting against the Byzantines during his lifetime. Thus the tomb may have been thought by later Muslims to have belonged to a Companion who partook in the second campaign of ‘Abd al-Raḥmān. However, according to Haskan Mehmet Nermi it appears that the designation of the grave as a Companion’s burial site is entirely incorrect and that it properly belongs to an Ethem Baba who died in 1460 CE (Nermi, Eyüp Sultan Tarihi, p. 149). 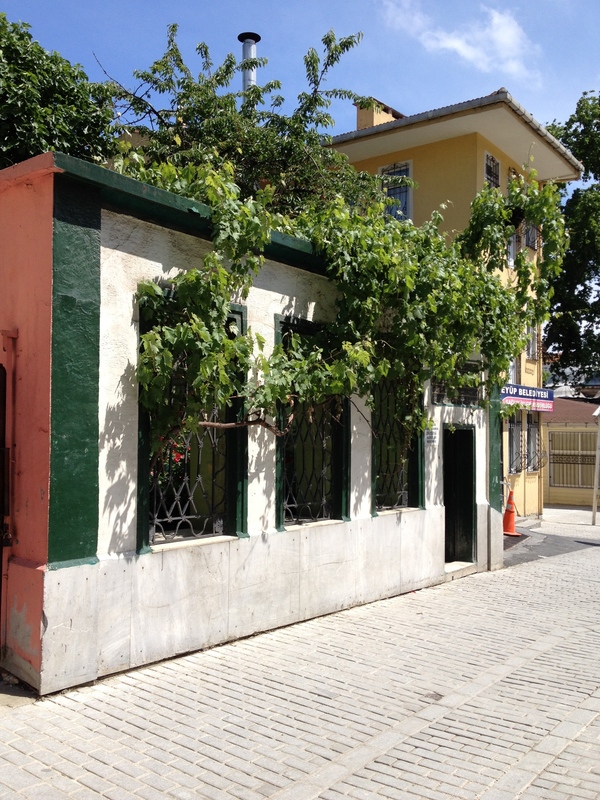 At this same intersection but across the street is the Arapcı Haryettin Camii. 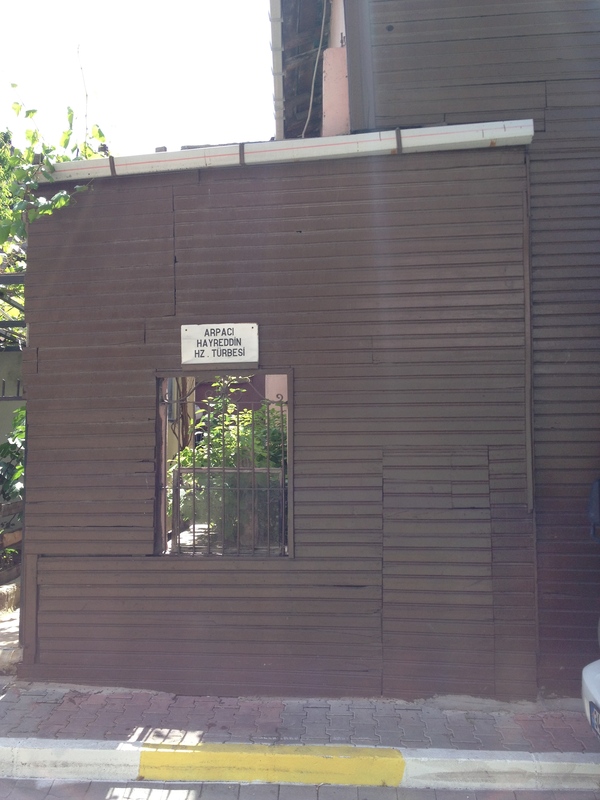 At the back of this mosque on the righthand side of Arapcı Haryettin Sokak is the tomb of Heyrettin or Khayr al-Dīn. This grave, like the tomb of Abū Dardā’, is outdoors and visible through an iron grill. Unfortunately I was unable to obtain any information concerning this last supposed gravesite of a Companion aside from its designation as such a place. The tomb appears to have been constructed in 890/1456, a few years after the Ottoman conquest of Constantinople (Nermi, Eyüp Sultan Tarihi, p. 32). Freely, John. 1996. Istanbul: The Imperial City. New York, New York: Penguin Books. al-Laknawī, Shaykh ‘Abd al-Ḥayy. 2004. Rijal: Narrators of the Muwatta al-Imam Muhammad. London: Ta-Ha Publishers, Ltd.
Nermi, Haskan Mehmet. 1996. Eyüp Sultan Tarihi. Istanbul: Eyüpsultan Vakfı Yayınları. This entry was posted in History, Istanbul and tagged Companions, Constantinople, Istanbul, Sahaba, Tomb by Martin. Bookmark the permalink.